Why Some Diets Help, but What if They Don't Heal? When you started to look into healing your endo holistically, you may have been shocked to see just how much diet plays a role. I know I was! I had never before considered what I ate could actually be connected to the debilitating pain in my pelvis (naive, I know). But as I researched I bumped right into the well known “Endo Diet”, a somewhat vegetarian, gluten free, dairy free, high fiber diet that was supposed to help. At the time I jumped on board and indeed experienced some profound relief… but no matter how strict I was, it simply wasn’t enough. That was 8 years ago, and now I see lots of endo-warriors plugging an assortment of diets to help with endo, not just the Endo-Diet. The main one’s I see touted as best endo-healing are vegan, paleo, or the traditional Endo Diet (per above), three diets that are at broad ends of the spectrum but have helped countless women feel a somewhat better. As many women start to feel better from dietary changes, they often become “converts”. This can be okay, even good for someone to feel so much excitement around new foods. Igniting a passion for food is awesome in so many ways! But what happens when the increasingly feeling-better suddenly plateaus? Or when it even starts to backslide? What do we think of these diets then? If you link your identity with one type of diet that made you feel better at first, but without allowing your diet to transition as your healing plateaus, you may stay stagnant at a certain level or, worse, start to deteriorate anew. This can lead women to choose two options: hold onto this diet with an iron resolve, more strict than ever, or give up on diet altogether. Neither are options we're after, which is why here I'll list out these three common endo diets, and why they may help and why they may eventually make things hard or worse if you don't change things up. So… why can so many diets make you feel better, when they often contradict one another?? And how do we best understand when our bodies need extra support, even from a potentially taboo food? Read on to find out. This is the first diet many of us hear about (and gasp) when we discover we must omit red meat, dairy, caffeine, sugar, eggs, gluten, alcohol, and … life as we know it. Kidding? Truth be told for those brave enough to remove all of these from their diet, you can actually feel better eating this way at first. Even just removing gluten or dairy for some of us can increase our quality of life 10-fold! Like other strict AF diets though, this one can not only exacerbate deficiencies, but also create a chronic fear of certain foods in our psyche. Fear of food is not healing. So read on to find out why this diet can certainly help, but also hinder. Cutting out triggers: Dairy can be the worst of the worst for some. It’s gluten for others. Sugar is a biggie for everyone. And for those with digestive woes removing complex proteins like red meat can aid in pain reduction dramatically. That’s why cutting out these triggers can show you a rainbow through your endo storm. For many, cutting out these triggers alone can mean so much pain reduction their lives are somewhat normalized again. SAD to glad syndrome: Switching from the Standard American Diet (SAD) to a high-fiber, more veggie based diet can work miracles on an impacted digestive system. Not every woman does this when switching to this type of diet, but those that do add in more whole-foods such as vegetable, beans, nuts, and seeds, feel better by replacing the standard processed fare they were eating. Too Many Processed Foods: For many, following a gluten-free diet often means the same products as before, but without the gluten. So gluten-free toasts, waffles, muffins, pastas, tortillas, etc become the norm. Nowadays, the gluten free foods are really tasty too! When I started gluten free about 8 years ago it was pretty awful, but now the taste is much more decent. Unfortunately, this makes it easier to overeat these products, which are utterly devoid of just about every nutrient you need. They’re like sugar, so processed that the only thing left is a carbohydrate, minus vitamins and minerals. So when we fuel our bodies with this gray-matter, we do more harm than good. This goes for all the millions of fake-processed "dairy-free" options out there too. Poor Fats: This goes for any of the diets, but I have seen these oils touted as "healthy" by endo-dieteestas (since I was one and, yes, used these horrible oils liberally for years). Canola oil, sunflower, safflower, fake butters - even GMO free - are all terrible for you. They cause rampant inflammation, and when these are the primary fats we feed into our bodies each cell is forced to use them to build into the cellular membrane. That means after an illongated period of over-consuming these oils, your body is now made up of rancid, oxidized, poor quality oils and the cell membranes are also rancid, oxidized, and of poor quality. Needless to say, you can start to feel worse. Read all about these types of oils and endo HERE. Replaced Sweets with Fruit: Smoothies, smoothie bowls, fruit salads, acai bowls, sooooo pretty but so full of sugar. Remember that blood sugar dysregulation exacerbated endo 1000x times over, so replacing sugar with natural sugars - sometimes in a huge abundance - can cause serious issues. Especially if combined with a diet high in other carbohydrates. Read THIS post to remind you why this is a Heal Endo Pillar. Doesn’t focus on gut health: Removing certain foods is certainly a great first step, but this diet misses the essential second step of healing the digestive tract. The fact is, if you react to eggs now you may be able to heal your gut enough to reintroduce them without problems. And if you react to processed milk or dairy, you may actually feel energized drinking raw kefir as it helps heal your dysbiosis. Every body is different, but this diet fails to recognize us all as unique, or that we can potentially mend our bodies enough that previous trigger foods no longer affect us. Stress: This diet seems depriving, so say the least, and we often ask ourselves “am I going to have to eat like this forever? ?” Whereas a newbie vegan or paleo participant gets really excited about the new journey - like, they’re psyched - the Endo-diet girl can lose a love or excitement for food. Often this diet feels clinical, and you can easily feel isolated from friends dinners or, even worse, start to really fear certain foods. Digestion starts in the brain, so if you're stressed and not chewing, you're going to exacerbate your endo-belly triggers. 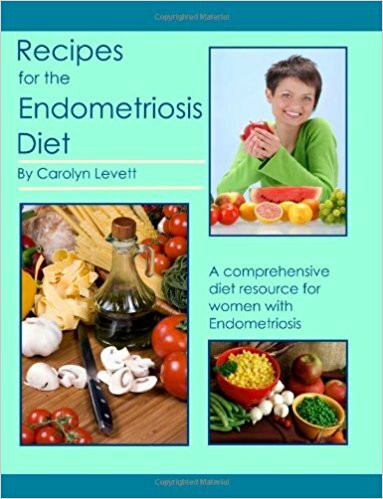 Deficiencies: Most women with endo have deep, deep deficiencies., yet the big takeaway from the Endo-diet seems to be “food removal”. Remove all the triggers and feel better. What it doesn’t seem to address is what foods to replace these old ones with, so many women turn towards what they’ve always been eating, albeit a gluten and dairy free variety. That leaves the same old problem of - malnutrition. Taking out inflammatories is huge, but replenishing everything we're deficient in is equally important. Instead, let’s talk about the healthy vegan: plant based, high fiber, lots of living and raw foods, usually low fat, vibrant looking dishes! This is the type of vegan diet that changes many people for the better, at least initially. SAD to glad: Many girls who switch to this type of vegan diet come from many years of the Standard American Diet (SAD), being highly refined foods, not much of it living, made of poor quality fats, and void of many nutrients. Removing this toxic diet is a great step in feeling better, and switching to a more nutrient dense, plant based diet can help eliminate a digestive burden even more. Digestive relief: Endo girls have notoriously bad digestive issues. They can range, of course, from IBS to Chrones, diarrhea to constipation, bloating to abdominal pain. You can have one, two, or all. Proteins and fats also take a lot of work to digest. Animal proteins need a lot of HCL (stomach acid) to break down in the stomach, and fats need a properly working gall bladder and liver to properly assimilate into the system. For endo girls with chronically low HCL and - dare I say - terribly functioning livers/gallbladders, removing these products from the system can lead to what feels initially like a whole body revival. Food/Product Awareness: This same type of healthy vegan often goes out of her way to find local produce, and is acutely aware of her impact on the worlds environment. This starts in the kitchen and continues down the line, eliminating household plastics, tossing toxic beauty products, and becoming a much more aware consumer. Buying local/organic produce is a great way to immediately incorporate more vitamins and minerals into the diet, since this food travels such short distances to your plate, not to mention small scale farmers often care more for the health of their soil and farms than that enormous “organic” corporate mono-cropping farm in the Mid West. Blood Sugar Dysregulation: This is one of the biggest issues I see for those on a vegan diet. “Hangry” -- quickly becoming angry you’re so hungry -- is a daily reality, since low-fat high-carbohydrate meals create a blood sugar problem for the books. If you want a reminder of just how imperative it is to regulate your blood sugar as an endo-warrior, please please please re-read THIS foundational post. Having an blood sugar issue creates tons of inflammation in your body, more than can be mitigated by a low-inflammatory vegan diet. If you’re a vegan experiencing this blood sugar rollercoaster, you can help minimize it’s intensity by immediately upping your fat intake. Stress: This isn’t everyone who follows a vegan diet, but many feel either so passionate about their diet, or so attacked about following it, that they can become acutely stressed or even combative, angry, or aggressive. Not only that, some vegans end up feeling very isolated as they don’t feel comfortable going out to eat with friends or engaging in social situations. Stress is a HUGE agitator of endo, so whenever a serious stress like this arrises, endo can flare all over again. In a whole foods, plant based vegan diet, we are told you can get everything you need except for vitamin B-12, which must be supplemented. The truth is, for an already deficient person, serious health issues may arise from deficiencies associated with this diet, and especially hurt an already deficient person. Protein: It is true, that we can get all the “essential” proteins we need from a plant based diet, and our body can make the rest, but the question arises in how much of the rest our body can actually make? Here’s one example: Glycinea non-essential proteins our body can, techinically, make. The problem is that your body can only make so much glycine, and it’s all made in the liver… meaning you foremost need a healthy functioning liver, something most women with endo have issues with. Second, the liver then uses up most of the glycine it makes for its own detoxification purposes, meaning that even if your liver is healthily doing its due diligence, there’s still very little left over for use in the rest of the body’s processes. It makes enough glycine for basic survival, while it waits on an infusion from other sources to offer up to the inflammation and healing process. So, if we never get that infusion of glycine, deficiency can occur. See now how other non-essential proteins can also become deficient over time, as your liver struggles to keep up with the demand. Omega-3s: Omega-3 fats are absolutely essential to endo-ladies, since it’s the anti-inflammatory fat that we critically need. We’re often so deficient from all the way back to our childhoods that we need a large dose to get us back on track. Why are animal sources of omega-3’s much easier to turn into PG3? Because the animal already did the hard part for you, so the PG3 is much more simply assimilated. This is why, as a Nutritional Therapist, I seriously recommend getting your omega 3's from animal sources (no conversion needed) until your health is back to normal. Fat Soluble Vitamins A, D, and K2: These 3 vitamins are absolutely essential for our health, yet most people are deficient. Some dangerously so. And alas, you mainly find these buggers in animal products. You may have heard beta-carotene is vitamin A, but ] it’s actually a precursor, and 1 beta carotene doesn’t equal 1 vitamin A. Why? Because of that fancy-shmancy chemical conversion stuff I keep talking about. Beta carotene is awesome, don’t get me wrong, but human efficiency at conversion to Vitamin A is so poor that, in some cases, that 2% of the beta carotene is converted into Vitamin A. What do A and D do? They super charge your immune system. What is endometriosis? An immune related disease (also known as hell-in-a-handbasket), so upping these essentials is, well, essential. Without them your immune system can suffer in innumerable ways, leading to even more auto-immune issues. Cons: Your body may start to fall apart - Joint pain, flaky skin, brittle nails, falling apart ligaments and chronic injuries, poor sleep, anxiety, acute stress, deep fatigue, and even thinning hair or lack-luster skin are all symptoms that can accompany long-term vegans. Paleo is on the other side of the spectrum, depending on the type of paleo of course, but has helped countless endo-ladies feel much better as well. It’s a diet that emphasis the paleolithic diet - i.e. the diet we evolved eating. For strict converts this is no grains or dairy, and instead rely on meat, eggs, veggies, seeds, and fats for nourishment. This diet is 100% awesome in that it actually says “no processed foods”. That should be an endo-anthem everywhere, and in every diet. And indeed there are other solid reasons why this diet can make you feel better, especially if you follow a protocol like the auto-immune paleo. Of course, there are also reasons why it may not be healing you the way you hoped. Blood Sugar Control: you shouldn’t be surprised by this one at this point, since I’ve now mentioned 3 times to re-read THIS post (can you take a hint or what?) since blood sugar dysregulation directly affects endo in so many ways. The beauty of paleo is that it cuts the breads, pastas, and processed junk and replaces it with healthy carbs like sweet potatoes, squash, veggies, etc, meaning much less sugar rollercoaster. May help with dysbiosis: the lower carb aspect of paleo means starving some strains of intestinal dysbiosis, like candida. This can lead to a reduction in endo belly and a better sense of digestive wellbeing. Grass-fed bonus: If you were previously eating factory farmed meat and switched to the paleo grass-fed approach, you might feel better because of the anti-inflammatory fats found in grass-fed animal products, called CLA, not to mention removing the gnarly toxic load associated with factory farmed animal products. You can read more about that HERE. Grass-fed animal products also are full of vitamin A, D, K2, B vitamins, and zinc, critical components of the body that so many endo-girls have deficiencies in. Eat every part of the animal: If you’re a paleo convert who’s embraced organ meats, this is a big reason alone you can feel better. Organ meats are chock full of nutrients more than any other foods around, especially vitamin A, so provide critical support to our endo-starved bodies. Bone broth is another cornerstone of many in the paleo community, and I can't say enough about the healing power of this nourishing broth on the ravaged endo-intestinal tract. Pros: A wide variety of plant and animal products can help reverse malnutrition, healing broths can help repair the gut, lower carb can help heal blood sugar dysregulation nearly overnight. You’ve adopted more of an Atkins approach than a Paleo approach: Too much meat, even the good kind, may not be what the doctor ordered. Yet many people who start out paleo do so with a more-meat mentality. Too much saturated fats, when not in balance with polyunsaturated or monounsaturated fats, become a problem in the system, just like too much of anything. Overcooking meat can also lead to more cancer-causing compounds in the system, and many women are a little intimidated by “rare” steak or burgers. Atkins can help many people lose excess weight in the short term, but it’s definitely not a healing diet in the long term. You may also be eating more factory farmed meat if you can't find grass-fed. This is an endo-no-no. Too low-carb: Some women become so scared of carbohydrates that they cut them out more than they should, leading to potentially serious hormonal regulation issues. Whereas men are able to tolerate long term ketosis (fat burning) better, women actually need a certain amount of carbohydrates per day to help regulate the hormonal machine unique to our own bodies. Too low carb can result in bad body odor, fatigue, muscle cramps, acne, and menstrual irregularities. Your digestion is suffering: If you introduced your endo-ravaged digestive system to lots of fat and protein, it may be dealing with a big burden without you realizing it. We need proper HCL and gallbladder function to deal with processing foods of this type, and most of us endo girls need some extra support while their bodies recover. Additionally, some paleo is so focused on protein that it forgets to add in much needed fresh/raw/living veggies, meaning this diet can have a potentially very low enzyme content. Bulletproof Coffee: First off, Paleo + Coffee = obsessed. Seriously, this is a somewhat odd love affair. Understand that caffeine and weak adrenals do not = love, and if you deal with any sort of stress you should aim to limit caffeine severely. Second, though, and more importantly, is that drinking bulletproof coffee in the morning (coffee with butter or ghee and MCT oil) means you miss out on one full nutrient-dense meal. That’s a 1/3 of your daily nutrients down the drain! Yes you get healthy fat, but you miss out on vitamins, minerals, antioxidants, fiber, and protein. All endo girls need LOTS of nutrition, make sure you’re getting yours before you get coffee. Cons: potential hormonal issues, fatigue, body odor/halitosis, not enough enzymes or living foods, too much protein and not enough fat or carbs can cause serious imbalances in the body. Of course I NEED to mention that there are many factors that affect endo beyond diet. For some, a perfectly tailored diet alone will actually throw their worst endo symptoms to the curbside. For others (like me), there may be other serious hurdles no amount of liver will heal. Say, for example, eating really well and then slathering on 10,000 chemicals every single morning as you get ready for work/school/whatever. Or, eating really well and then sitting in a chair/couch/car for 10 hours a day, stopping the blood flow from reaching your uterus at all [i.e. starving the poor girl]. Or maybe you're simply stressed-the-ef out and eating well doesn't even begin to address that. The other elephant in the room is that if you have severe gut dysbiosis you need to get to the crux of that issue before any diet can make the impact you're after. SIBO (small intestinal bacteria overgrowth) is a common one, and is very hard to address without a specialist who can first diagnose you, and then get you on a tailored diet. You could also battle with IBS, candida, intestinal permeability, or others. The best thing to do is never diagnose yourself, instead work with a naturopath who can test, and work your diet around the results. But that's why I lay out the 5 pillars here on my site: nutrition, movement, toxin-free living, and connection. We're all so connected. Luckily enough, the solution to all of this is right under your nose! What I mean is, the solution IS you :) Listening to how other people have “healed” can be wonderful, educational, helpful, and inspiring, but before Mylie Cyrus tells you to be vegan or the Bulletproof Executive tells you paleo is your solution, please listen to your body. That’s not to say don’t experiment, indeed experimentation is the BEST way to listen to your body, all I’m recommending is don’t stop listening to your own body’s signals in order to identify with a specific social group. Sometimes the diets we adopt need to be adjusted in order for us to heal, and that's okay. It's okay to stop being vegan. It's okay to try reintroducing raw milk to your Endo-Diet. It's okay to eat some oats if you're paleo. It's all okay if these things start to make you feel better. Indeed they're necessary when your diet is no longer serving you to your highest healing potential. What are some signs that your diet is not serving you to your fullest? Pain, be it joint pain, inflammation, or endo pain. The diet I espouse here at Heal Endo is an ancestral diet, meaning foods as close to nature as possible, just like your ancestors. And that means there’s no one size fits all approach! Some of us girls may need some grains, some may not tolerate them at all. Some may never touch dairy, some may relish raw milk, kefir, and butter. Some may truly need and desire more animal products, whereas other girls feel better eating mostly plant based. The only one who can know for certain is ... you. And by listening to your own clues (like, the fatigue level, clear skin, or endo pain) you can find your own perfect balance. Your body wants to heal, I promise, so listen to it’s quiet (or maybe loud) suggestions, remarks, and insights as you play around with your diet. Allow her to sample things she's craving - even if it's "strictly off-limits" - and you may be quite amazed to see what she says. Truly, you will feel healing progress as you offer her up everything she’s been missing, and she'll reward you for your help with, well, an extra bit of health. Happy Healing Everyone, and much Aloha! DISCLAIMER: I am not a dietitian, doctor, or medical professional, this site is solely for guidance and information to give people more information to make an informed decision about their own bodies best treatment plan. It’s a source of information that helped me put my own endometriosis in remission, and information I wanted to share for anyone else it might help on their journey.